We are extremely pleased with the level of service we received from Peninsula Flooring. 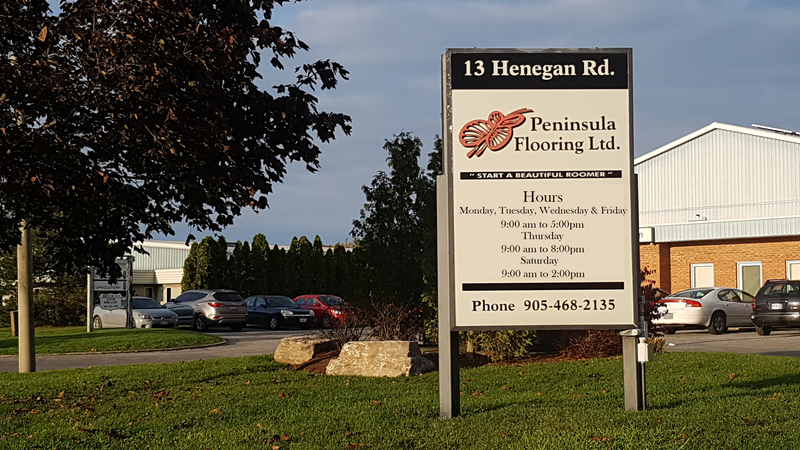 From the knowledgeable advice we received from the in-store staff to the professional installation of the flooring we selected, our experience with Peninsula Flooring was second to none. We don't usually take the time to write reviews of products and services, but as the team at Peninsula did such an excellent job from start to finish, we thought it important to share our experience. Peninsula Flooring were very helpful and personable in helping my wife pick flooring for our house. The owner, Art, took personal interest in us and worked hard at scheduling and lining up the installation. The installers were excellent, dealing with our well settled older home. All of our transitions are now smooth and we are thrilled with our new floor! Dan from Peninsula Flooring came to my new condo and installed a beautiful kitchen and bathroom floor. He did a fantastic job and is very professional. Thanks to Wendy on staff for helping me pick it out. All of my family and friends love it as much as I do. Renovation has been extremely stressful and thanks to this wonderful team the flooring went smoothly. I will recommend this company to anyone who wants the job done well and professionally. Carol, Art and the Peninsula Flooring team were professional and accommodating. The quality of their floors are outstanding! We are very pleased with our new floors! Thanks! I went into Peninsula with a rough idea of what I wanted and they helped me narrow it down to find the perfect fit for my flooring. Very knowledgeable and helpful staff made this a great experience. Anytime I have flooring needs I will definitely use them again.